The rocks are an extensive collection developed over a lifetime by Harold and Pearl Hempel of Beaver Dam, and donated to the Dodge County Historical Society. It includes rocks and minerals from Michigan, Australia, Canada and many other places. 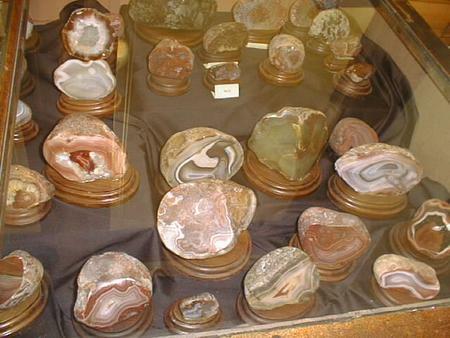 Petrified rocks, volcanic rock and Lake Superior agates can be seen. Special cabinets were constructed for this exhibit. Harold Hempel donated the cherry wood. Patrick Lutz, Jim Munkwitz and their high school students completed the construction.